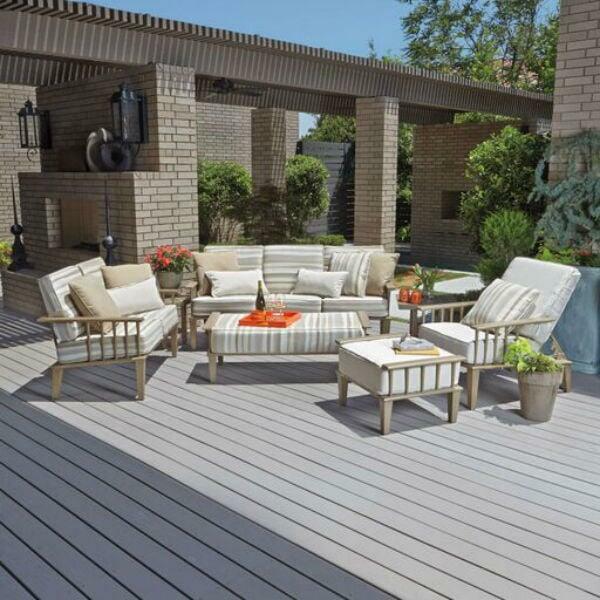 Bring home some beige for your backyard! Have you ever done that old ice-breaker where you go around the room and describe yourself with a color? Everyone wants to be passionate red, cool blue, natural green…no one wants to be boring beige. But I am here to say that beige has been done a disservice and can be, in fact, just as interesting as aquamarine or periwinkle or bittersweet. Beige offers the best of both worlds; the crisp, coolness of white with the warmth of earthy brown or sunny yellow throw in. For our purposes, we will define beige as any color running the gamut from ivory to tan; including beach grass to steamed milk to Bavarian cream to summer moon…all colors in the beautiful beige family. In my former life as a patio furniture sales person, I would often notice that people who chose beige and its variations seemed to feel as if they were settling; that they weren’t adventurous enough to get red cushions or blue pillows or green slings. They were just plain old beige people with plain old beige lives and plain old beige dreams. It’s time to give beige the kudos it deserves! 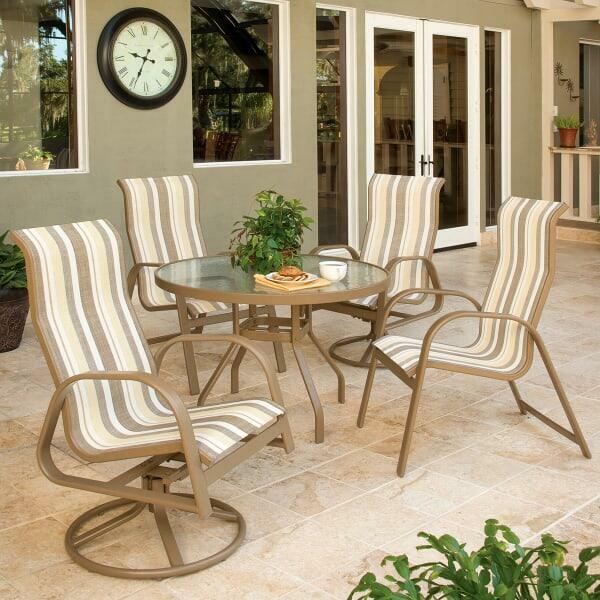 Check out some of these beautiful in beige patio furniture options. 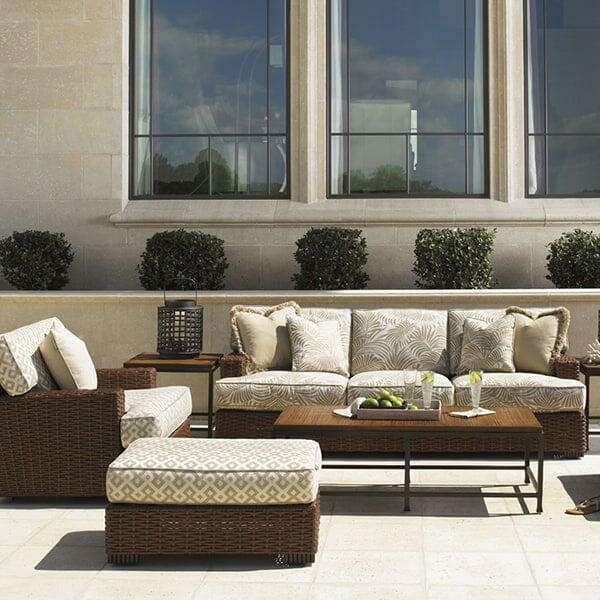 Big and bold, the Elan Deep Seating Collection by Cabana Coast offers its own brand of sophisticated style with distinctive beige cushions. 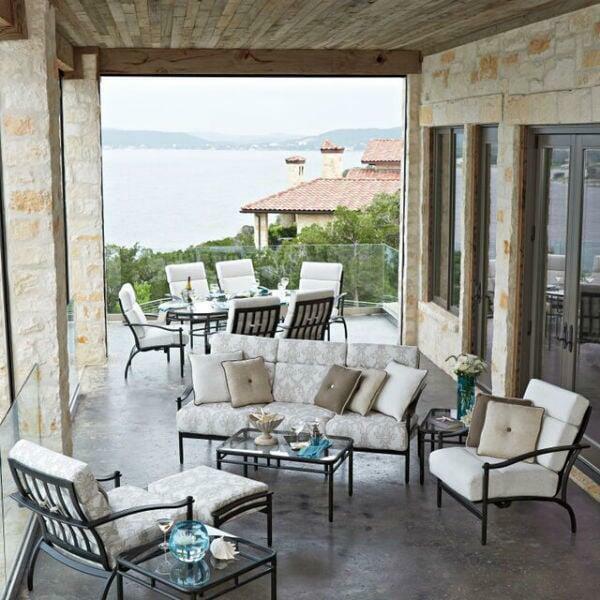 The Hampton Deep Seating Collection by Woodard rocks tailored beige cushions; the perfect hue against a backdrop of surf and sand. 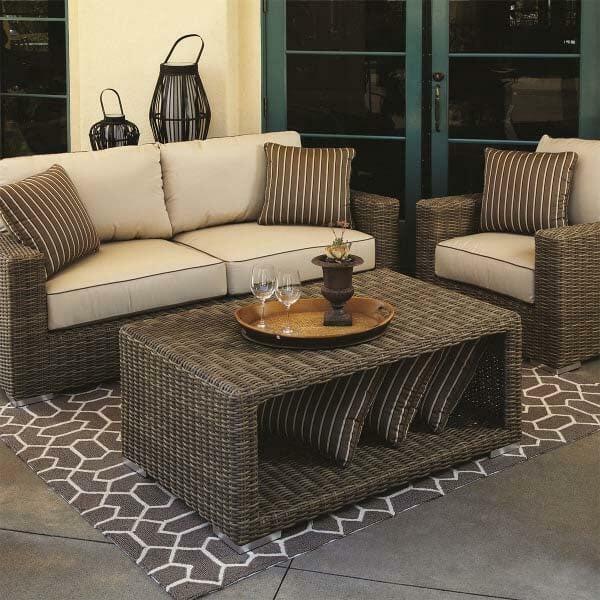 Elegant and upscale, the Coronado Deep Seating Collection by Sunset West is perfectly paired with complementary beige cushions and pillows. Create visual interest with beige cushions, beige throw pillows, a beige rug and a beige lampshade as seen on the Aruba Deep Seating Collection by Woodard. 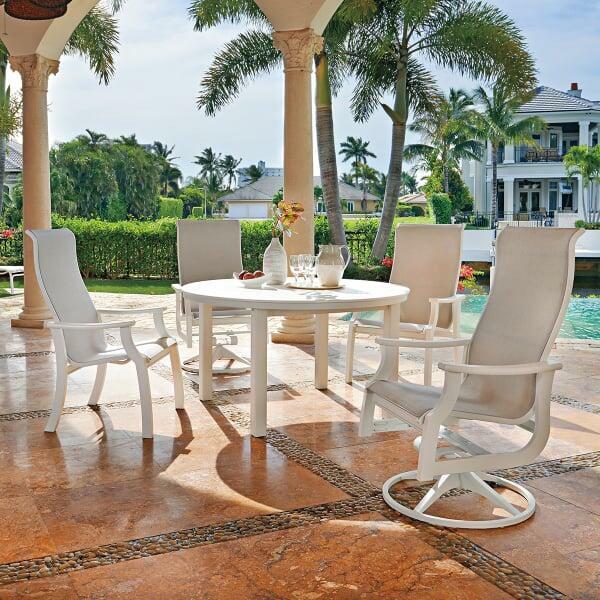 Tommy Bahama outfits their Ocean Club Deep Seating Set with coordinating beige prints. 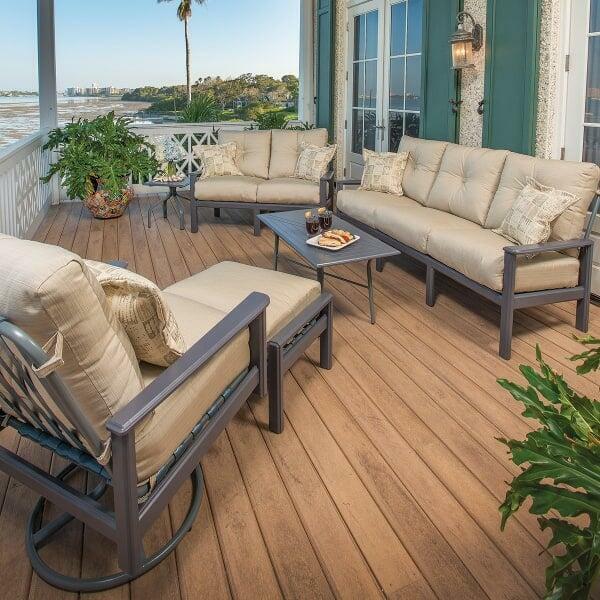 The effect is smart and chic, just like Tommy Bahama. The Nob Hill Deep Seating Collection by Woodard is calm and airy in shades of beige, inviting your guests to sit and stay a while. Beige solids and stripes adorn the Van Dyke Deep Seating Collection by Woodard. This beige is anything but boring. 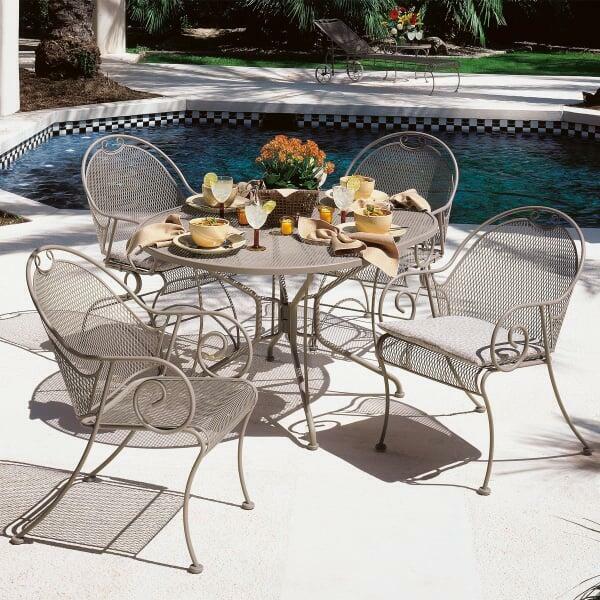 The sandstone beige finish of the Cantebury Collection by Woodard raises the bar for casual dining. The St. Catherine Sling Collection by Telescope is fabulous in a swanky combination of white and beige, while the more simple Anna Marie Sling Collection keeps things refreshing in beige stripes. Beige boring? Nah. And if anyone ever describes you as “beige” consider it a compliment. What they are really saying is you are classic, versatile and right on trend. 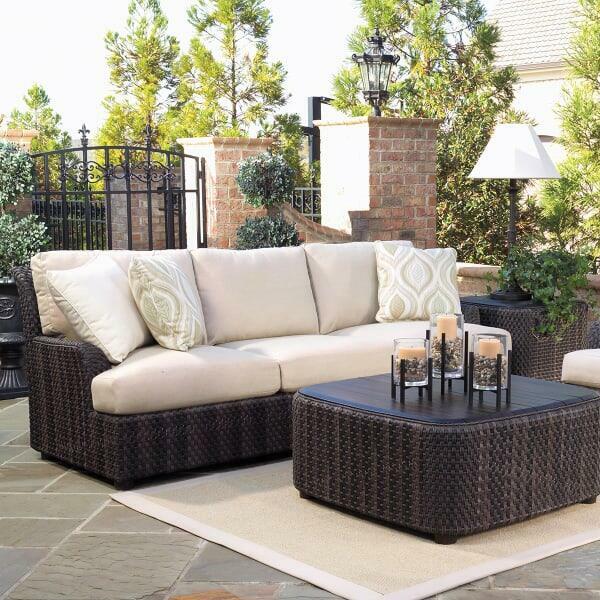 Bring home some beige for your backyard!